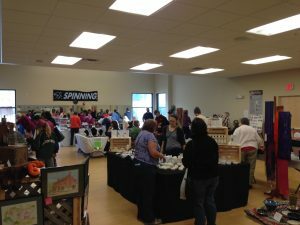 Shop the Artisan Fair on Sat and Sun! Join us this weekend for the 6th Annual Artisan Fair, a part of the NH Open Doors statewide touring event. 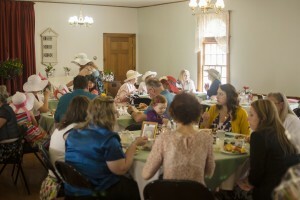 This great event will feature new and returning artists featuring ceramics, watercolor, acrylics, jewelry (beaded and silversmithing), fiber arts, and more. We’ll have music by soprano and harper Angela Biggs for an hour each day. Food will be available, including Norwegian Meatballs, Korean BBQ, baked goods, and more. This event is a fundraiser for WCCMA, please consider supporting us by supporting these great local artists. Special thanks to Claremont Parks and Recreation, and the e-Ticker news of Claremont for their support of this event. For more info on this event, click HERE or visit us on Facebook. 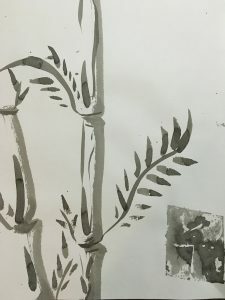 Join us for September’s monthly art project: Sumi-E Painting with instructor Ernie Perry (art teacher in SAU 60). Supplies will be provided, ages 10 through adult are welcome. Advanced registration is requested HERE, or email melissa@wcc-ma.org. Join us for an all ages demonstration and workshop. 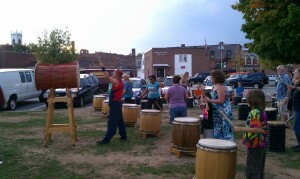 Come try out the drums, and learn more about Taiko Drumming! Later that afternoon in Claremont you’ll be able to see a full performance of Taiko Drumming. Join use with members of the Burlington Taiko Group for a can’t-miss performance! We’ll have food sale at this great annual event. Robert Burke Warren—dubbed “Uncle Rock” by his nephew—gets audiences up on their feet with his rootsy meets rock ‘n’ roll guitar music. This globe-trotting one-man band performs songs with lyrics about monsters, taking naps and recycling set to Buddy Holly and David Bowie-inspired music. Uncle Rock’s dynamic performances have won him fans all over the US, including praise from the Los Angeles Times and the The New York Times. Parents and kids alike will jump, shout and sing along with their newest (and favorite) relative.